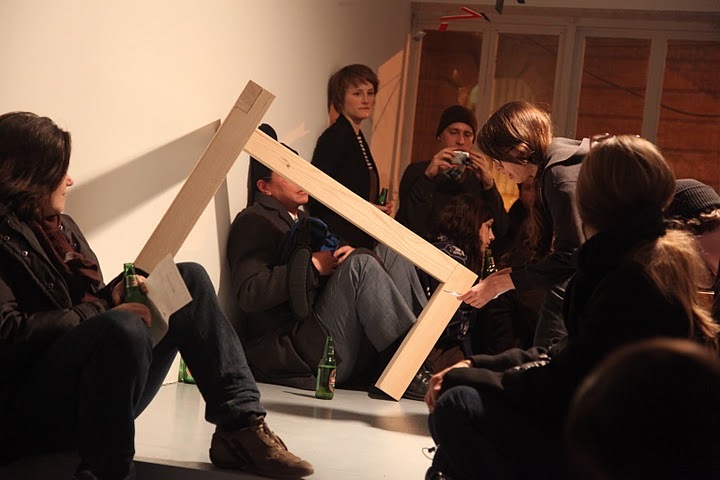 a spatial intervention for a short evening under the influence of the palindrome at ludlow 38. 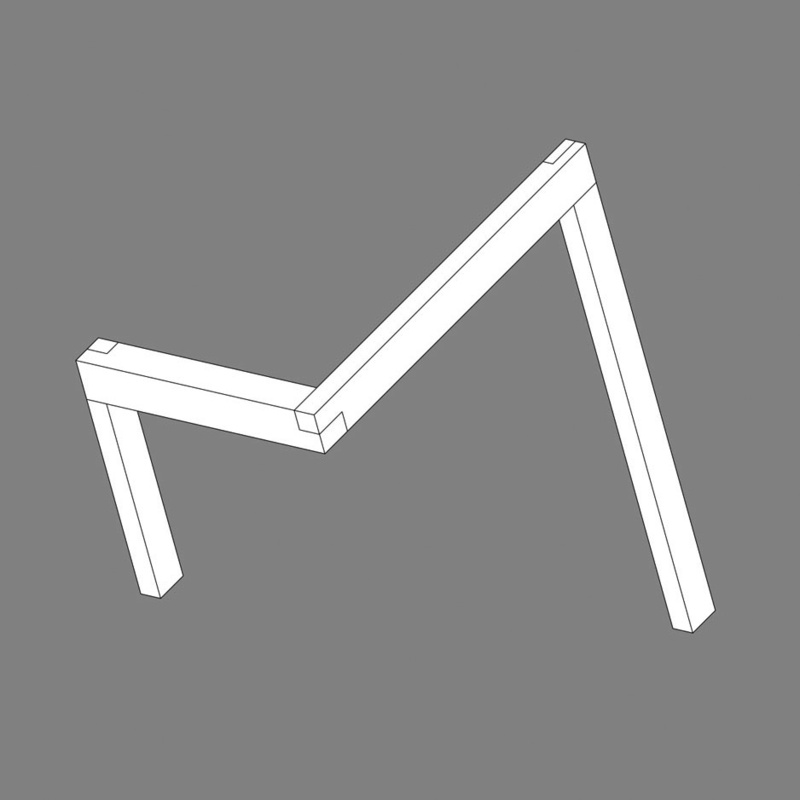 1 – axonometric of an impossible geometry. 2 – specific instructions: actions that could be carried out or not. 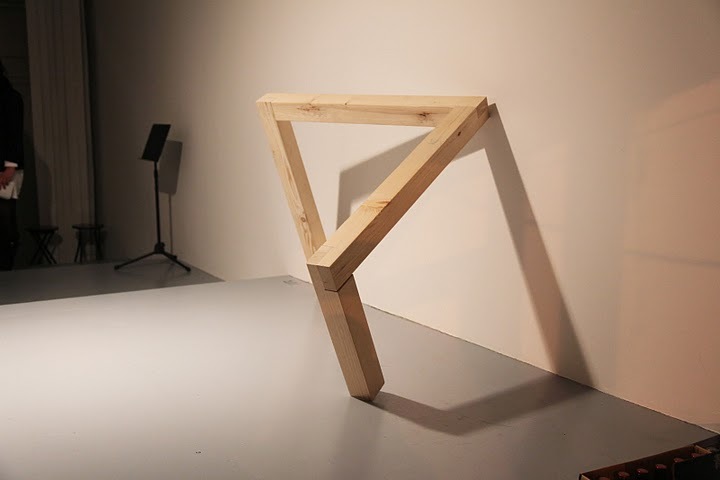 The object was placed on a platform in the center of the gallery in such a way, so when entering the space it was viewed as a triangle with three right angles.